The California Chess Reporter ran for 25 year from 1951 to 1976. It was published six times a year. 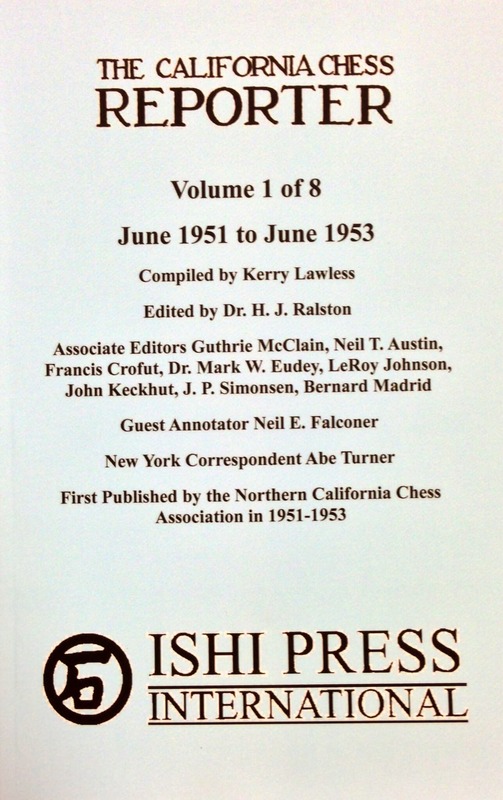 The first issue of the California Chess Reporter, that promised continuous coverage of the entire state, appeared on June 1951. Editor Dr. H. J. Ralston’s first editorial explained it best, “The unhappy demise of the Chess Digest early this year left the chess players of California without any organ for the systematic publication of chess news. It has been the fate of chess publications in the past to quietly expire unless they enjoyed the support of some solid organization of chess players. The present issue of the Reporter is made possible by the generous financial support of the SF Bay Area Chess League, which voted funds for the publication at the meeting of May 6, 1951.